​Makin'Hay 10K, April 27, 2019! This scenic and rolling 10K course will take you on a journey through the heart of Frederick County's dairy production region. The course celebrates spring's awakening, taking participants past numerous farms, along Catoctin Creek on a dirt road, and across two, one-lane, wooden deck bridges. 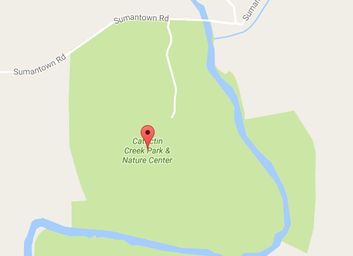 The start/finish and parking are located at Frederick County's Catoctin Creek Nature Center, Middletown, Md. Nearby Lodging suggestions: Stone Manor Country Club (located on the course!) and a wonderful Airb&b in historic Burkittsville. ​shirts for the first 200 registrants! will get unique ceramic awards. $40 cash or check payable to SMHS. CC payments subject to additional fees on race day. Pre-Race Packet Pickup will be held on Thursday, 4/25 at Charm City Run, Frederick, 467 W. Patrick Street from 4:00 to 7:00 p.m. Grab your bib and then check out their Nutrition and Hydration seminar (6 - 8). ​certification standards by Tim O' Keefe in 2017.